About Our Company | Crane Building Company, Inc.
Crane Building is owned and operated by George Crane. 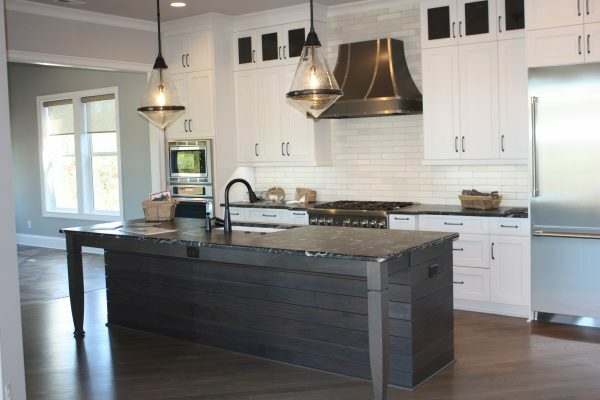 A North Carolina native, George prides himself on building beautiful homes using only the finest materials available. Each home is built with care and pride to be energy efficient and a showpiece for each member of the Crane Building Family. Intricately involved, George is onsite every day and involved in all aspects of each project. By limiting the number of projects Crane takes on, clients work daily with George and his small staff from project start to completion. Beyond move in, Crane also offers full home provisioning for those looking for a totally fresh start. Details are what make homes special -none are overlooked at Crane Building. Certified Interior Decorator on Staff for all the fine details that make a house a home. Crane Building Company is Energy Star certified and has experience in building insulated concrete form homes for the ultimate in energy efficiency. Every detail of the home is reviewed to ensure utmost quality and functionality. Over the past decade, the greater Wilmington – Southport area of North Carolina has seen tremendous growth both in terms of new housing starts and economics. Brunswick County is one of the fastest growing counties in the country, and it is estimated that every day, over ten new people call the area home. From quality schools to affordable living, the greater Wilmington – Southport area has it all….and more. If you would like more information on our area, we suggest visiting these websites. Simply click on the link and you will be taken to places that will show you why our area is THE place to live and raise a family.